In a couple of days we can start to kick the cows out on grass. Vernon and Johnny will be enthused about that! As we put the pairs out into new pastures, the everyday feeding will end… and the drudgery of that day in and day out will NOT be missed by the guys! One of the standard operating procedures around here is to, not surprisingly, check the fences around those pastures. 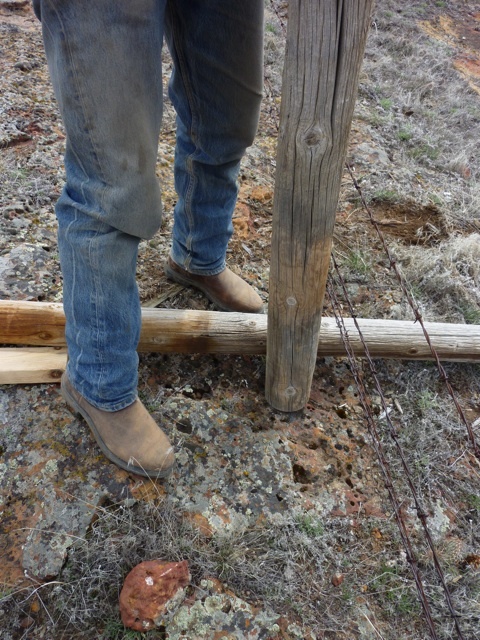 Johnny had found this section of fence and even to the untrained eye… you can tell this stretch won’t hold a cow! 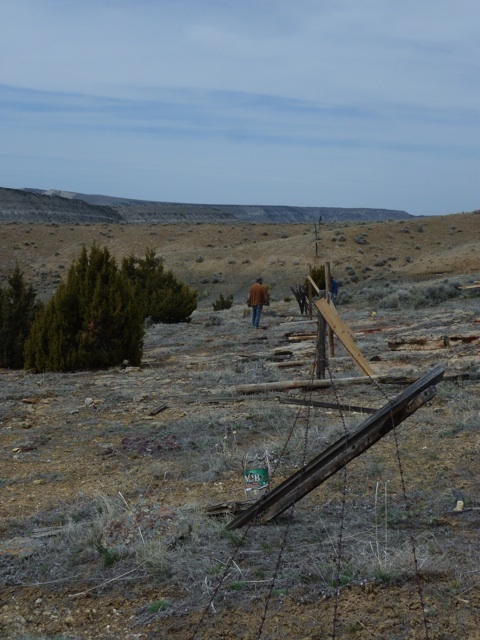 You see… although I might rave about the beauty of the rocks in Wyoming… they make it awfully hard to build good fence. That’s solid rock down there. The post on the ground provides a semi stable base with the cross support adding a smidge more. The wire helps some more… and it works. Well, so long as there’s not a lot of pressure! 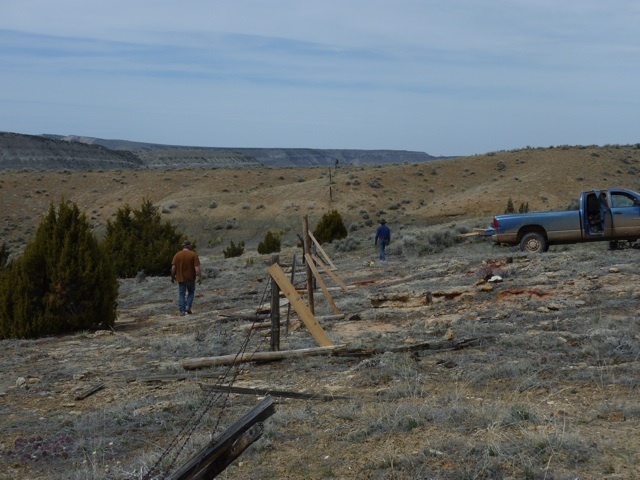 You sure wouldn’t want to build a corral this way, but for a quick fix over rocks… it’s great. 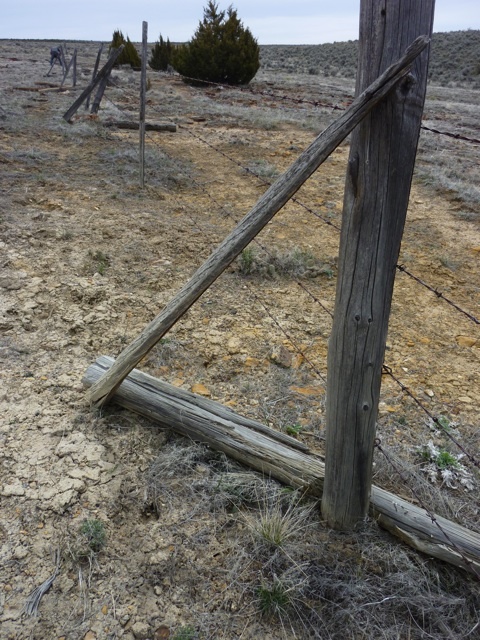 When your posts don’t line up straight (and fences MUST be straight), you can slide them into line! 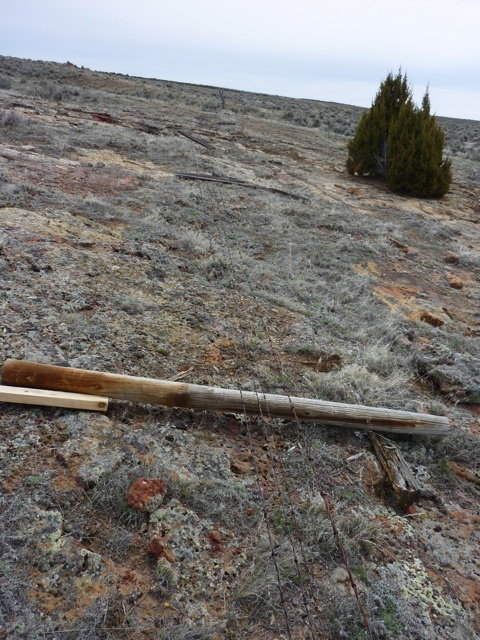 MUCH MUCH MUCH MUCH MUCH easier than moving a post hole!